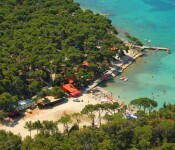 Imperial camp Vodice is a three star camp situated 1 km from the city of Vodice. It is located near the Imperial Hotel. 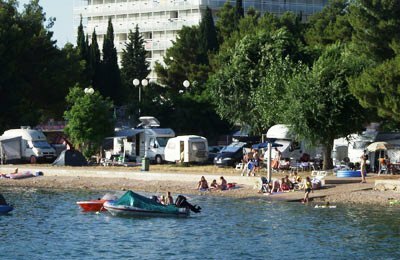 A pebbly beach is right in front of the campsite which is partly covered by trees. 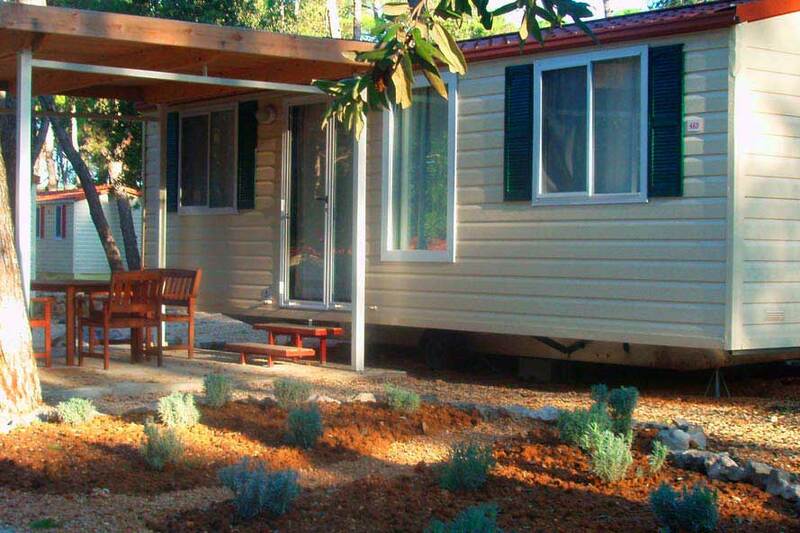 The campsite has 145 pitches and 6 mobile homes and can accommodate 450 guests. 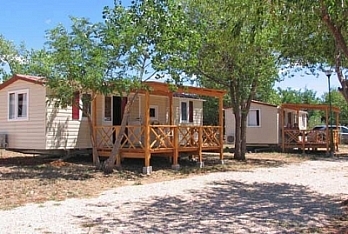 The surface of the campsite is 11 ha. 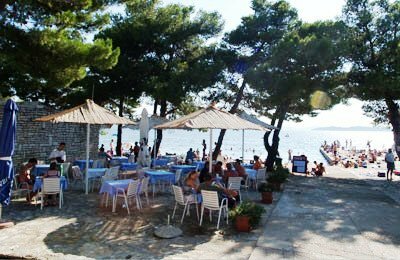 For those who wish to have a more active holiday, the city of Sibenik is distant 10 km from the camp and it is full of valuable cultural and historical monuments. 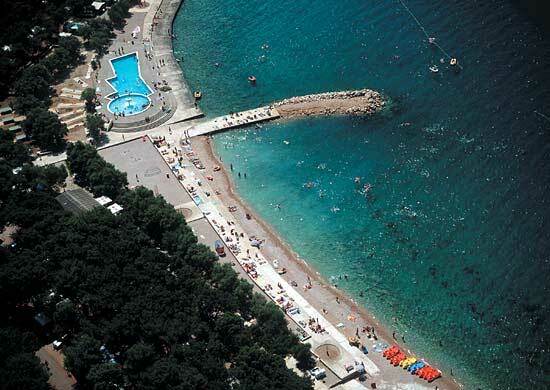 In the vicinity, there are also three national parks: Krka, Kornati and Paklenica. 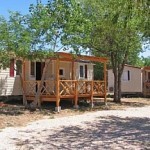 As already mentioned, mobile homes can be rented in the camp. 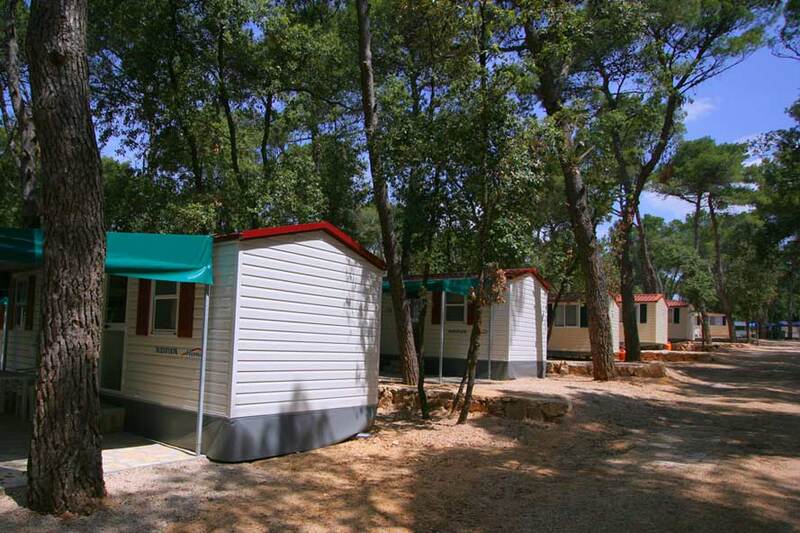 These can accommodate up to six people and its size is 24 m2. 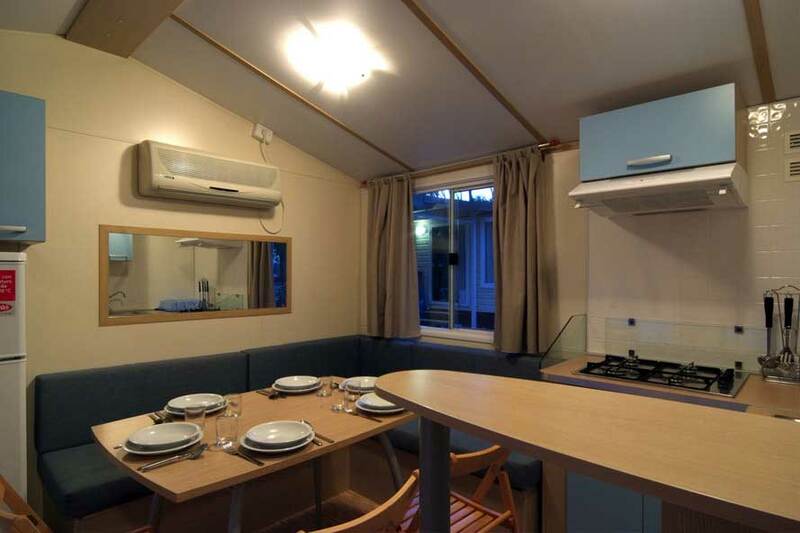 They are equipped with two bedrooms, dining corner in the living room, kitchen corner, TV, air conditioner, shower cabin, separate toilette and a terrace. Pitches are divided into A and B. Pitch A has electricity connection and pitch B has electricity connection, connection to water and drainage system. 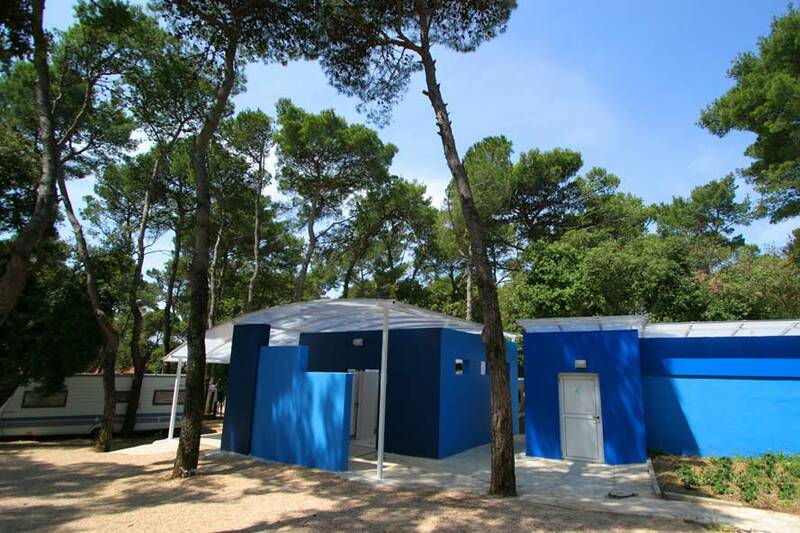 Sanitary facilities include hot water, washing cabin, shower cabin, hot water washbasin, number of toilettes, bathrooms for disabled, dog washing area, discharge for chemical WC and camper service. There are two swimming pools, one of which is for children who also have a playground at their disposal. 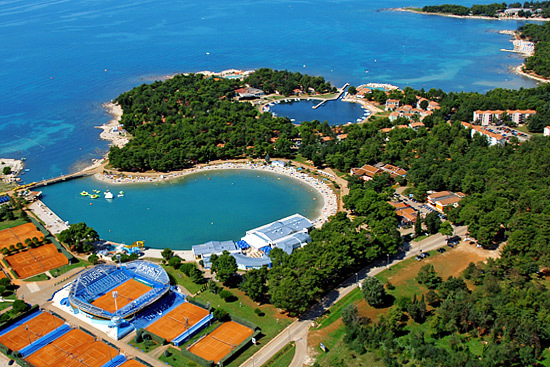 Guests can play tennis, table tennis, hire bicycles and use the services of the fitness centre. Entertainment programs are suitable for both children and adults. 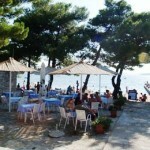 At the beach, umbrellas and beach chairs can be hired. 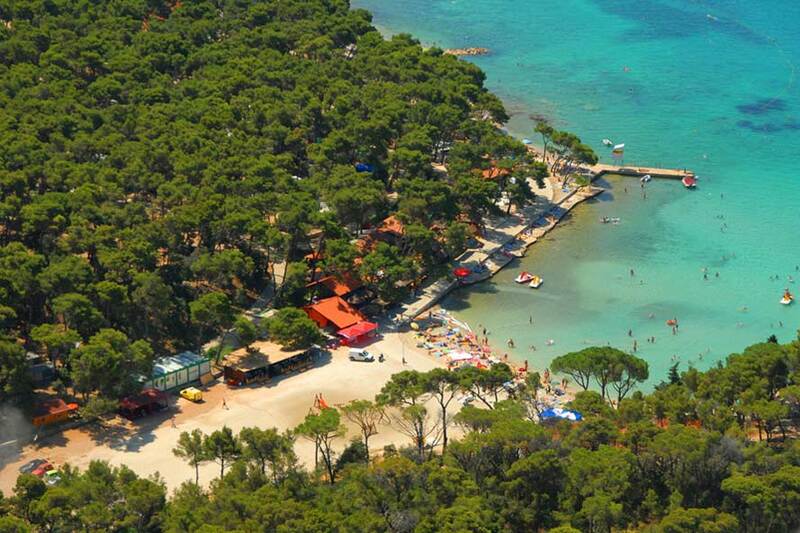 The guests of the camp can also use the services of the nearby hotel Imperial such as leisure and dining facilities (à la carte restaurant, snack and aperitif bar). Within the camp there is a grocery shop, newsstand, mini market and restaurant. 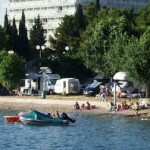 Other camping in Dalmatia you can find here.